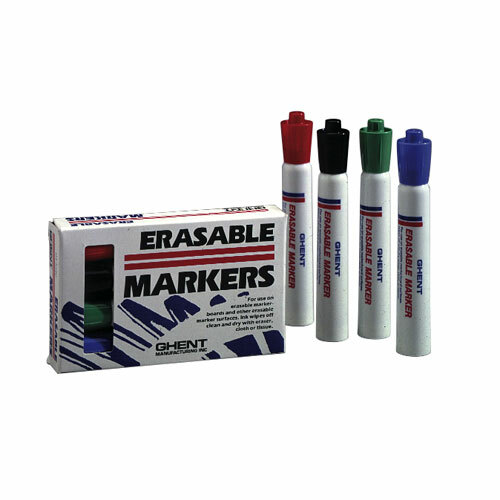 These Dry Erase Markers write easily and wipe off cleanly. Vivid colors and a wide chisel point leave an easy-to-read ink mark for effective communication during presentations. Stock up today to optimize the flow of ideas in your school or office. Available in four colors: Black, Blue, Red, or Green.